Stanford International Human Rights and Conflict Resolution Clinic of Stanford Law School have published a Report on the 2002 notorious and brutal Gujarat Riots. 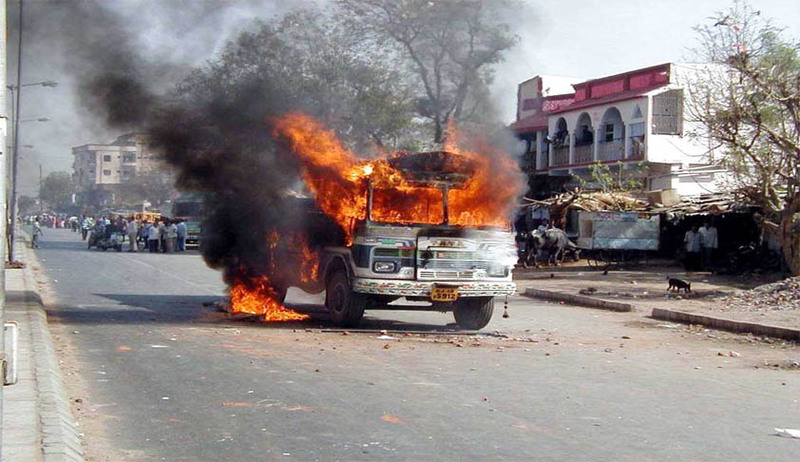 The report prepared by the Stanford International Human Rights and Conflict Resolution Clinic, focuses on the performance of the Gujarat Judicial System as its handling of cases emerging from the riots . The Report titled “When Justice Becomes the Victim: The Quest for Justice After the 2002 Violence in Gujarat” has concluded that the conviction rate in riot cases is less than 10%. In 863 cases that reached trials, only 83 cases ended up in convictions till 2012.Only 9.63% is the conviction rate, according to the study. The report presents the 2002 violence in Gujarat through the lens of three court cases. Two of them (the Naroda Patia case and the Gulberg Society case) pertain to two of the most brutal demonstration of communal violence. The third (the Jafri case) pertains to the apathy and collusion of government authorities where it has been alleged that the violence took place on instigation or direct orders of some of Gujarat’s highest political and social figures, including the sitting Chief Minister of the State of Gujarat. As per the conclusion of report, the State of Gujarat, as well as the Government of India, can and should do more to bring true justice to the people of Gujarat. Incidentally, many reform efforts are already underway to address some of the crucial shortcomings have been identified also in this report. According to the report, Gujarat has failed to pursue accountability vigorously for what transpired in 2002, and it has not effectively acted to alleviate the suffering of riot-affected victims in the past twelve years. The report recommends that Gujarat's judicial authorities should be free from any political affiliations. 1. Conviction rate is less than 10%. 4. Recommends that Gujarat's judicial authorities should be free from any political affiliations.